***Seven billion people on the planet. Everyone is different. But not everyone takes a chance. Not everyone steps forward and says “this is my best self – this is what I can offer that no one else can.” A lot of us wait to be chosen. We wait for someone to find us or see us or notice that hidden talent. There are 7 billion people out there. 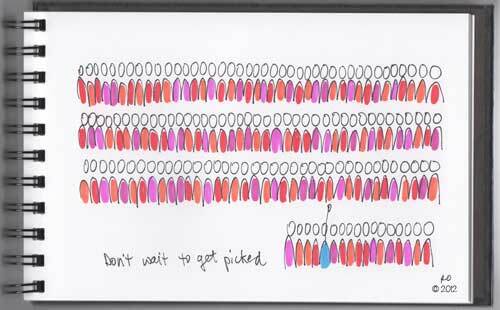 Don’t wait to get picked. Pick yourself and make things happen. 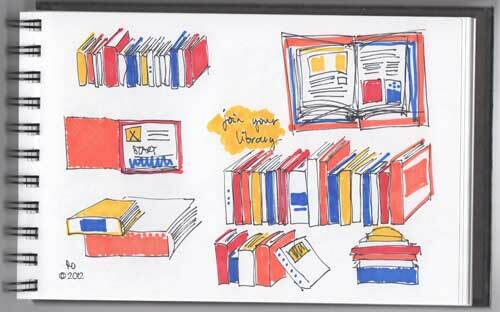 I love that a library card is relatively easy to obtain and is basically a passport to learning and adventure. If your local library doesn’t have what you are looking for there’s a pretty good chance they can borrow it from another library nearby, and voila – the book is yours to check out! I even love that odd smell books sometimes have when they come from an old library. You know what smell I’m talking about… it’s that odd mix of paper and ink and being a well-loved book that has been read by so many and maybe has not seen a lot of sunlight. I am saddened to read (more frequently these days it seems) that library membership is down, usership by actual members seems to be down, and budget cuts are threatening closure of libraries. Whenever I am at the local library it always seems busy, but what do I know?!? I simply want to say, if you are not a member of your local library, please consider joining (it’s free)! If you are member, please consider using it (it’s also free, unless you return things late)! Happy reading! Happy adventuring! Happy learning! ***I have been trying to make a decent loaf of gluten-free bread for almost 4 years now. My goal is something golden-brown, fluffy on the inside, slightly crusty on the outside, easily sliced, delicious for sandwiches, and edible. But, it has not happened yet. And that means, there are more opportunities out there. There are more recipes. There are more flours and gluten-like things to experiment with and mixes to create and substitutions to make. There are better techniques to learn. 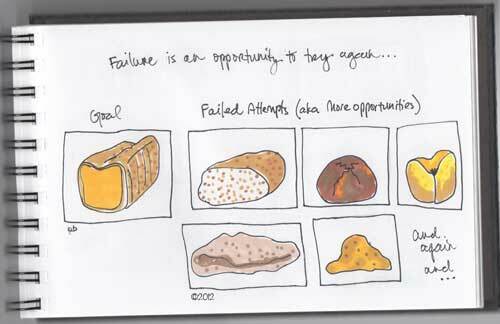 And with each attempt, I get closer to the goal… Failure is simply part of the journey and is an opportunity to try again. If I were my own best friend I would implore myself to take the time to…. Instead of leaving an unfinished post hanging out to dry, I figured I would simply overload your poor inbox today with the completed version. I am very sorry for the goof-up! In retrospect (a whole 120 seconds of retrospect) it does seem rather relevant that this was the post I launched early… it was going to be about slowing down and taking the time to untangle your life and your priorities and finding the time to breathe. It was going to be about sorting out the “life lines” of your life and focusing on those, so that you have the time to take care of yourself and be at your best. This is easier said than done. The last 3 months of my life are a testament to that. 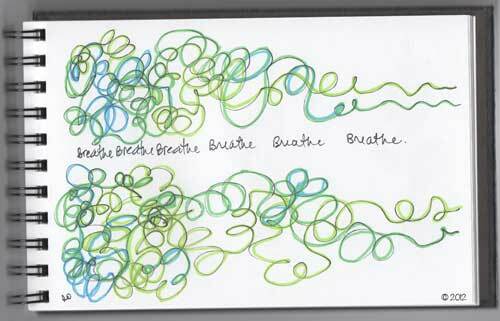 But I am finally taking the time today to start straightening things out a bit and finding my way back to center. To a place where it is not just “okay” but actually expected to take the time to tune in to myself and just breathe. I wish you a peaceful day and hope you are finding ways to take time for yourself in some small measure. ***Outside my home stands a row of cherry trees. Up until a week or so ago they all looked the same – grey-brown-black bark, no leaves, no blooms, no hint of anything different between them. Then one lone tree sprouted tiny little green buds. Days later it exploded into pink and cream blossoms. This one tree stands out amongst all the others, a bright eruption of color and scent. The rest remain dark and drab. I look at this one tree in full bloom and I think of the people out there who are moving ahead of the curve. The innovators. So, today I would like to say “thank you” to all those people I know (and don’t know) who have decided to bloom “early”, to go against the grain, and to make a difference. In the same way this lone cherry tree brings me joy everyday, so do those of you who are pushing the envelope. Thanks. 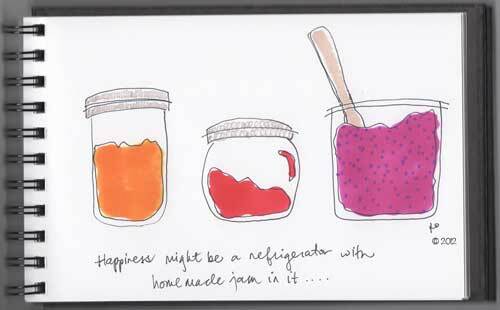 Happiness might be a refrigerator with homemade jam in it. ***It really can be that simple. Bad day. Cold weather. Feeling crummy. Just need a bright color. Maybe you are even hungry! Open fridge. Find homemade delicious fruity puts a smile on my face jam. Make toast. Slather in butter and jam. Eat and enjoy. Thank you to all the wonderful friends and family members in my life that make homemade jam. I cannot tell you how much joy it brings me to open the refrigerator and know someone took the time to make something that delicious!! Someday I might learn how to make jam myself, but until then… Keep on jamming – it is much appreciated! ***Have you ever done something really hard? Or painful? Or it took a lot of effort and sacrifice? But you did it. You started on one side, worked through whatever it was, and eventually arrived victorious and maybe a little scarred on the other side. That is part of what this post is about. That event or experience you had to fight your way through tends to be pretty raw or painful immediately afterwards. 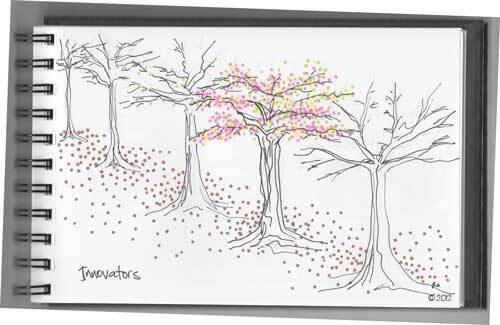 There are “hot spots” where you still remember the acute pain and what you did to survive and thrive. 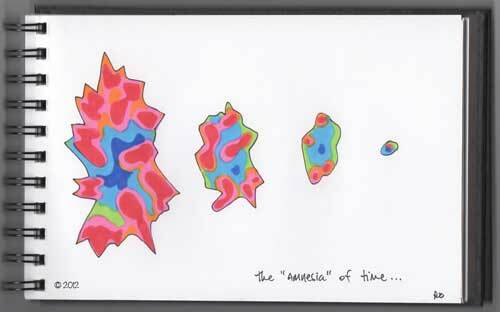 But over time (days, years, decades) those acute spots and the memory of the whole experience seems to fade and reform… Amnesia! Anyway, I’ve been thinking about this lately – I think this type of “amnesia” allows a couple of things to happen. First, it might explain why people make the same mistakes over and over again – they really do forget how painful it was the last time. Second, and on a more positive note, I think it allows for growth. If you always remember how hard something was (how really truly grueling and awful it felt at the time) you are probably not going to do anything like that ever again… but time smooths that out! And after a while you forget. And you’re willing to go back out and climb that mountain or complete that Ironman or return to graduate school or endure another pregnancy… because the pain has faded. And what’s left are the smoother, softer, kinder, gentler memories that really do make the trouble you went through worthwhile. So with that being said, I simply need to remind myself that whatever I may be struggling through today, it will eventually fade. Even if I can’t see the light at the end of the tunnel right now it is still there. And when I get to the other side it will be worth it. And eventually I will have another beautiful “rock” to look back on and remember fondly.